Well, believe it or not but you actually miss Swedish food when you not live in Sweden anymore. 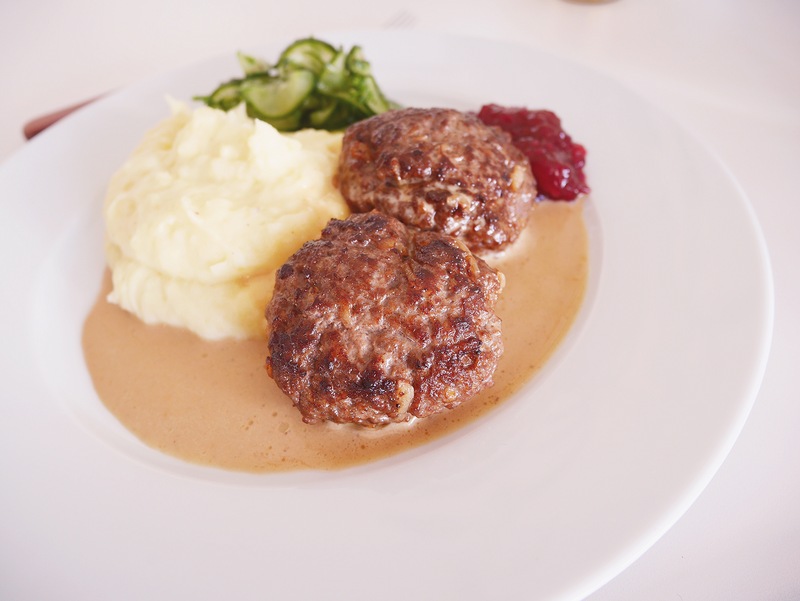 Beefs (hamburgers, don’t know what the correct word is in english) with mashed potatoes, gravy, lingonberry jam and pickled cucumber ..!! I needed to drive to Ikea here in Iceland and buy lingonberry jam, Because they don’t have it in the grocery stores. Thank you Ikea for this haha. 1. Prepare the press cucumber first because it needs to stay in the refrigerator at least 1 hour. Slice 1/2 cucumber into thin slices, put in a deep plate and savory little. The salt causes the liquid is drawn out. Add a deep dish of cucumber so it is pressed. Let stand for about 30 minutes. 2. Pour out the all water and then add 1 tablespoon vinegar, 1 tablespoon sugar, 1/2 dl water, white pepper, 2 tablespoons chopped parsley and season with more salt if needed. Refrigerate for at least 1h. 1. Boil the potatoes in salted water. Heat the oven to 100 degrees (for the beefs). 2. Mix together all the ingredients for the beefs. Roll and flatten into bite-sized hamburgers. Saute them in butter until they get nice browned on both sides. 3. Take up the steaks and place them in a tray and then in the oven. 4. Begin then with the sauce: Pour water into the pan and whisk out of all the cooking juices, pour in the cream, soy sauce and fund and simmer a few minutes. 5. Add the redcurrant jelly. Season the sauce with salt and pepper. Do you want a thicker sauce add then some brown cornstarch. 6. Feel the potato if it’s ready, drain and crush the potatoes using a potato crusher or electric mixer. Warm up some milk and pour a little milk at a time while you whisk or stir, add a knob of butter and taste the cake with salt and white pepper.